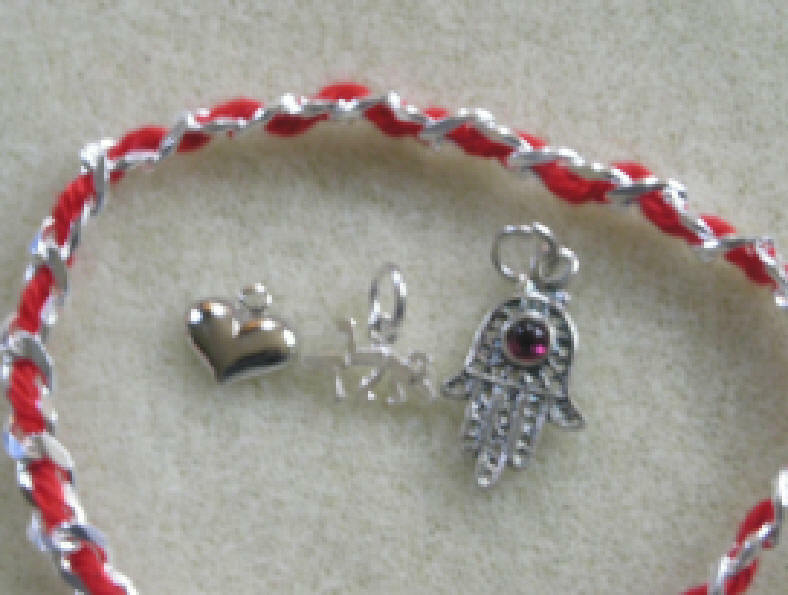 RED STRINGS Protect Against Evil Eye & Increase your luck. Evil Eye for dress, business or privacy. Sterling Silver & Zircons. 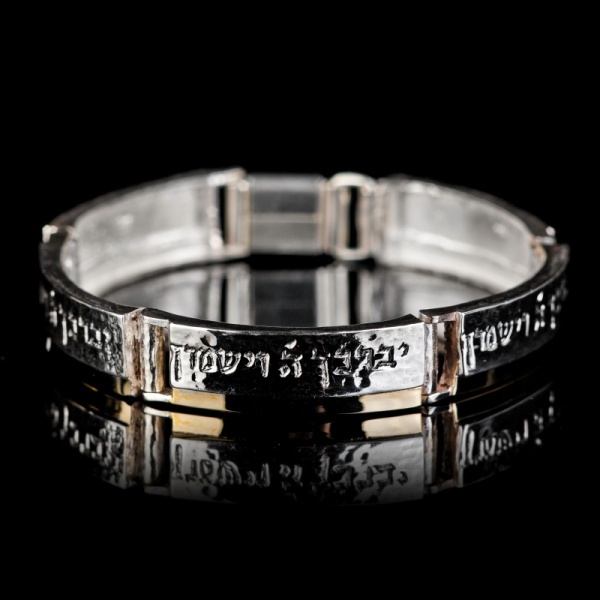 New Thought Kabbalah brings you Kabbalah products, spiritual products, kabbalah jewelry, and accessories are offered for sale at very low prices. 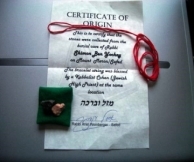 We are a non-profit corporation with the goal of offering education on Kabbalah. Our profits and donations are used to build a spiritual learning centre that will provide inexpensive classes and workshops. 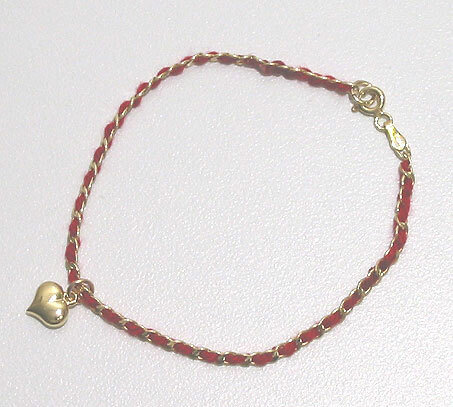 The Red String protects us from the influences of the Evil Eye by connecting us to the energy of Rachel. Evil eye is a powerful negative force. Quantum physics teaches that we are impacted by others around us. The ill-wishes and envy of others can impact your own energy. Connecting with the energy of the Matriarch Rachel raises our attention to divine Love and caring, warding off the evil stares. Tie this around your left wrist. 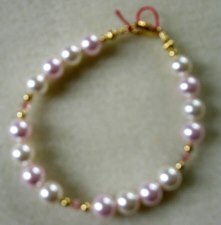 Have someone who will not be envious of you--perhaps who loves you, tie it around your wrist with 7 knots. 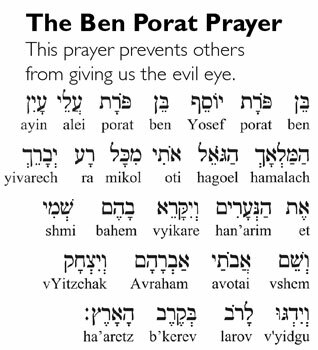 As they are tying it meditate on the prayer below. 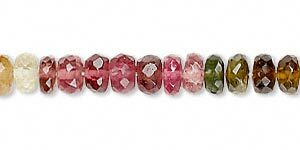 It will eventually wear out, so make yourself a new bracelet. 1 New Thought Kabbalah is not associated with the Kabbalah Centre except as a reseller. I only attract positivity and compassion. By being aware of my own compassion, I only attract compassion to myself. 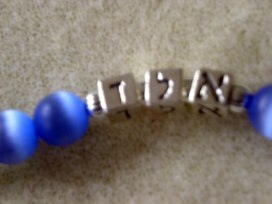 New Thought Kabbalah is a subsidiary of Round Table Alliances, LLC. Revised: 31 May 2011 23:11:30 -0400 .